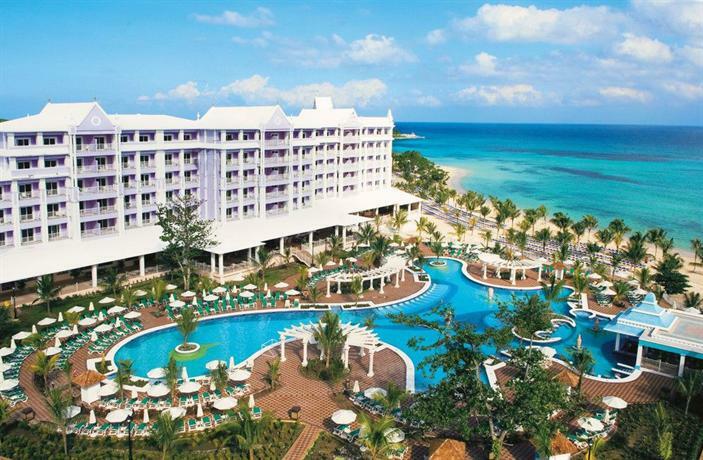 If you're looking for a great all inclusive Ocho Rios resort, then you're on the right track! 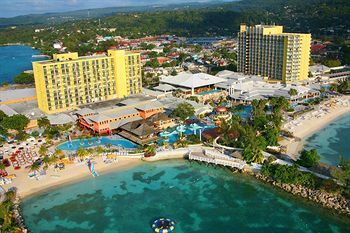 Ocho Rios, Jamaica, is a fantastic location for a vacation and has some of the best all inclusive resorts around for both couples (adults only) and families. Finding a great resort can be a lot of work and take some of the buzz out planning your vacation. We want to help you get through the planning faster so you can get on to telling everyone where you are going. 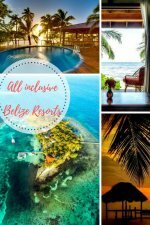 We have found (and listed below) the best all inclusive resorts in Ocho Rios so all you need to do is choose from the best. There are 4 amazing couples and adult only resorts. See the interactive Ocho Rios TripAdvisor Map to search by price or guest rating. You'll find Ocho Rios on the north side of Jamaica below the rising mountains. It's true tropical paradise of waterfalls, beaches and lush vegetation with great attractions at hand. 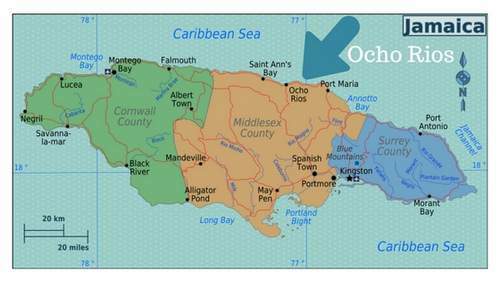 When to go to Ocho Rios? 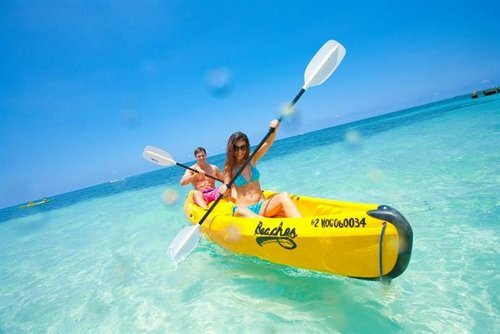 There are three hugely popular things to do in Ocho Rios. It can be a good idea to keep an attraction in mind when choosing a resort. 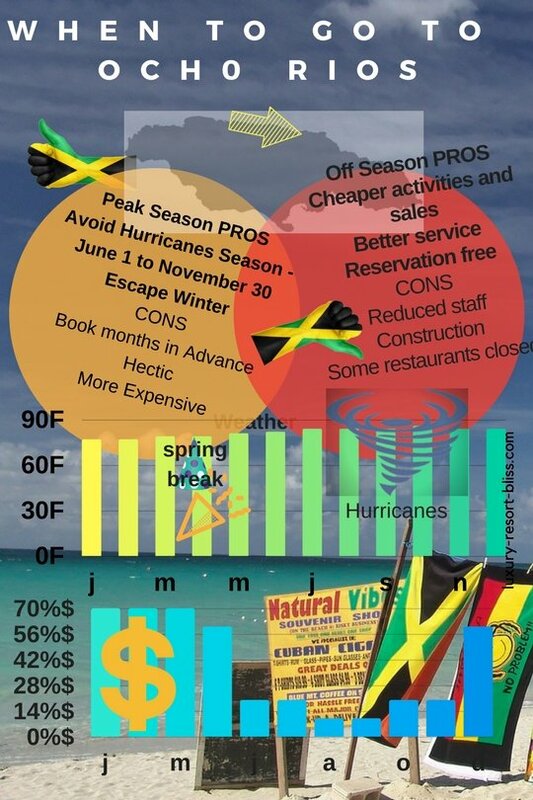 Some resorts will be closer than other but you'd likely be able to book a tour from any. 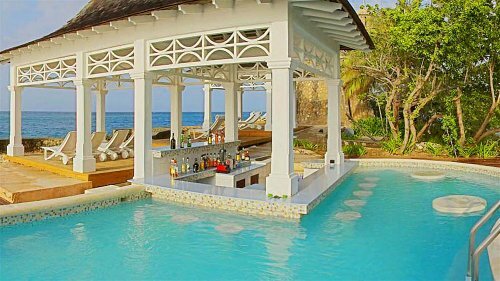 These are the top all inclusive resorts in Ocho Rios for couples and adults only. Why choose an adult only resort? They cater specifically towards couples and romantic getaways. The resort has put effort into creating a great atmosphere and choosing amenities and activities that you, as an adult, will enjoy. These resorts generally have an age 16 and older policy. 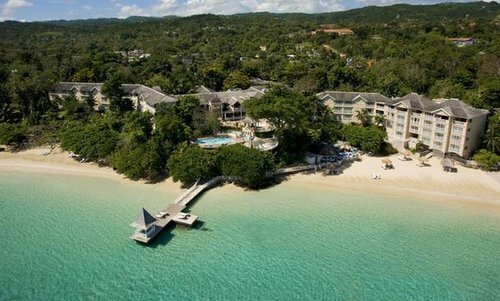 This all inclusive Ocho Rios resort is a top innovator. The adults only resort enjoys a nice position for a day trip to Dunn's River Falls and days spent on white sandy beaches. Many past guests have been impressed that this luxury all inclusive has a veggie bar for vegetarians and the health conscious. See most reviews from past guests. 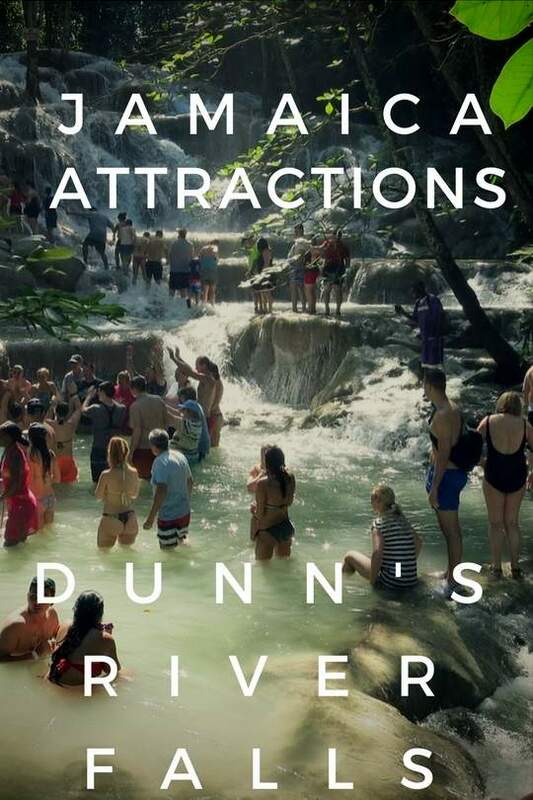 Dunn's River Falls. See Jamaica Tourism on TripAdvisor for more travel ideas. Couples arises majestically from the cliffs of Jamaica's emerald mountains. This outstanding 150 room resort gets an A rating from us. Private cabanas for spa treatments, rock paths, natural mineral springs, and colonial buildings feature in this exciting location resort. Couples San Souci full service health spa has body treatments, massage/treatment rooms, facials, and beauty services. All achieved in stylish 4.5 star luxury, you won't go wrong. It has dining options that include 4 restaurants, a swim up bar, a poolside bar-lounge an awesome outdoor pool, a health club, a spa tub, a sauna, and a fitness facility. This resort gets excellent reviews with past guests loving the size of the gardens, food and good service. More information and reviews on Couples San Souci. It's hard to go wrong with Sandals and this resort is no exception. Sandals Royal Plantation is really (really) great. It's an award-winning all inclusive butler resort with a magnificent spa and on a coral bluff. This is an all-suite boutique resort with only 74 suites. There are 2 private cove beaches, afternoon tea service, unlimited land and water sports - including scuba diving and unlimited dining at 5 restaurants. 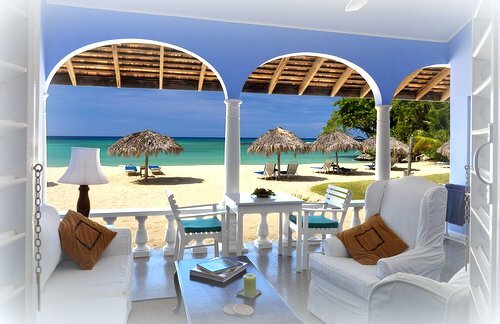 Sandals Royal Plantation exudes a heightened level of luxury and romance. Sandals Royal Plantation reviews here. 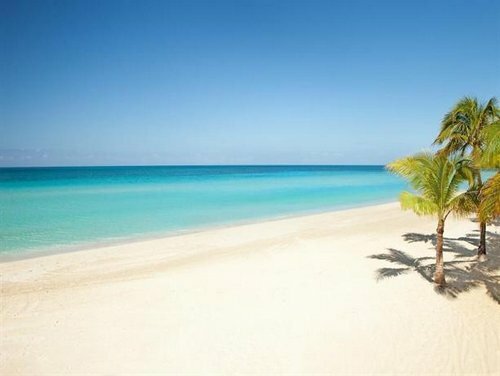 Deal: Save up to 65% at Sandals Royal Plantation. Even with only 50 rooms, this intimate resort has been one of the top resort hotels and vacation destinations in the Caribbean for generations. An A+ rating from us for a truly outstanding resort. 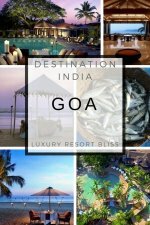 Other travel authorities like Condé Nast Traveler and Travel + Leisure, Winston Churchill, Marilyn Monroe, Noel Coward and Ian Fleming have also rated this resort highly over the years. A breakfast of local dishes, seaside seafood lunches or romantic dinners alone are some of your dining options. A fantastic holistic spa, windsurfing, sailing... the luxury features go on and on. A favorite activity for many here is afternoon tea. There's also a private beach, WiFi throughout, garden tours and you can also find a number of things to do in the area. More information and reviews for Jamaica Inn. These resorts cater especially well for families with children of all ages. Vacations are great for kids but we want parents to have a great time too! Check these resorts out for an Ocho Rios all inclusive family vacation (where no one has to cook). Beaches Boscobel is a family-focused resort with a pirate ship water park. It's a five minute ride from Ocho Rios and Dunn's River. There are lots of great things for the children to do around the resort. Never will you need to think of things to do with the kids. While they are at the children's golf clinic or a performance of Sesame Street by the original characters, you can supervise or do your own adult style activities. There are lots to choose from. At Beaches you never know when Big Bird or some other Sesame street character will appear out of the wood work to your child's delight. Deals: Shop Kid Friendly Vacations At Beaches Resorts. 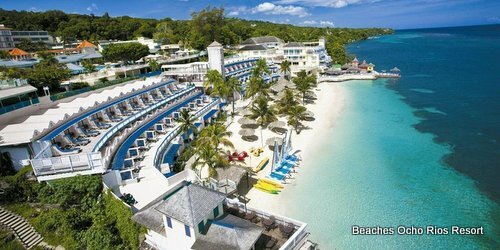 Beaches Ocho Rios Reviews and more information. A luxurious but laid-back resort that is set to impress. They've gone all out here in this large resort and get fantastic reviews as a result. The Awe Spa. This is the largest spa on the whole of Jamaica. There are a variety of watersport options including a FlowRider Double Wave Simulator (see photo below). Paddleboarding, scuba and snorkeling are also really popular. Nightlife: there are a variety of bars to choose from and each one is a little different so you can choose one that suits you and check out every one! Accommodations are new and modern. You can choose from ocean view or garden view and either way, it is a wonderful view. There is WiFi throughout. The in-room double whirlpool tub. Nice! Reviews are excellent with people saying it was the best hotel they've ever stayed at, views are great inside and out, swimming with the dolphins here is a highlight and staff are great. More on Moon Palace Ocho Rios. This resort is located beachfront on Mammee Bay with trees and waterfalls all around and can be a bit easier on the budget than some others listed here. Freshwater swimming pool, Renova Spa and wellness center, Jacuzzi, and gym. Buffet and themed restaurants as well as a number of bars inside and out. Watersports include activities like windsurfing, kayaking, snorkeling as well as land sports. Close by is Dolphin Cove Beach where you can swim with the dolphins (and sharks). Dunn's River Falls and Cranbrook Botanic Gardens are close by. Have an all inclusive Ocho Rios resort to recommend? Let others know!